The Peninsula Soft Tissue Sarcoma Service provides expert medical and surgical care to patients from Devon & Cornwall suspected of having or diagnosed with sarcoma. We are one of 15 NICE accredited Specialist Soft Tissue Sarcoma Services and see in excess of 100 new soft tissue sarcomas each year. 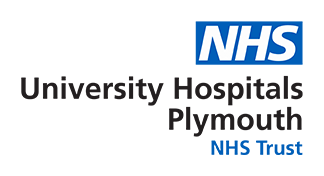 The service covers West Devon and Cornwall and is provided at two hospital sites; Plymouth Hospitals NHS Trust, Derriford, the specialist soft tissue sarcoma centre and at the designated soft tissue sarcoma unit; The Royal Cornwall Hospital, Truro. Patients can be seen in diagnostic clinics for clinical assessment, imaging and biopsy at both sites. These clinics are delivered by consultant musculoskeletal radiologists who are core members of the sarcoma multi-disciplinary team. Surgical treatment is undertaken by specialist sarcoma surgeons at Derriford and all specimens analysed by a team of onsite specialist sarcoma pathologists. Additional or alternative treatments such as radiotherapy and chemotherapy, delivered by specialist sarcoma oncologists and follow-up appointments can be delivered closer to home at either of the two hospital sites. Members of the Specialist Soft Tissue Sarcoma Multidisciplinary Team from both sites dial in to a weekly videoconference hosted by Derriford on Tuesday mornings to discuss patients with suspected sarcoma, newly diagnosed sarcomas and recurrent sarcomas. This is to ensure patients receive the best individualised treatment plans appropriate to them and in line with national recommendations and guidelines.